MALCOLM Turnbull will announce a "big stick" approach to force electricity companies to provide consumers cheaper power next week amid reports he could face a leadership challenge from Peter Dutton. Senior cabinet minister Christopher Pyne downplayed reports conservatives are urging the Home Affairs Minister to make a play for the Prime Minister's job today as he confirmed there would be an announcement on new measures to tackle power prices next week. 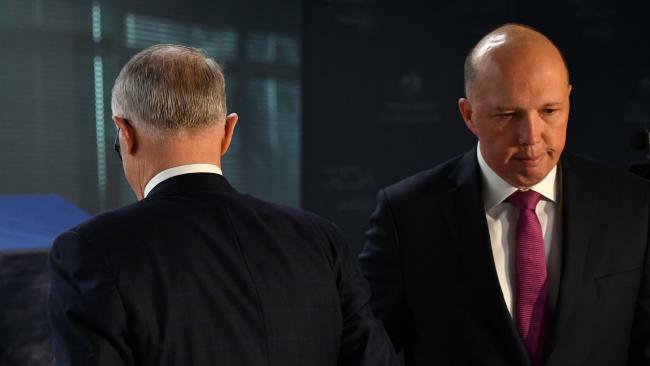 "The Cabinet is 100 per cent united behind Malcolm Turnbull," he told Today Show host Karl Stefanovic this morning when asked: "Is Peter Dutton going to have a crack or not?" "Peter Dutton hasn't said he would resign over the National Energy Guarantee," Mr Pyne said. "He has outlined what ministers have to do if they don't support a government policy. He says he does support the Government's policy." 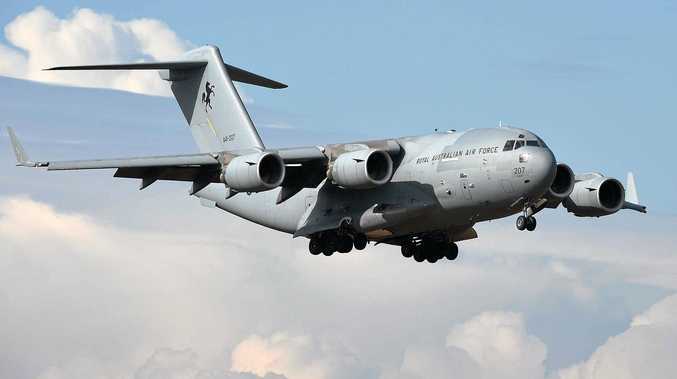 The Defence Industry Minister denied the government was "on the ropes" but acknowledged there "are a few people I think who are trying to put the band back together from the late 2000s," implying Mr Abbott and other critics were manoeuvring to topple Mr Turnbull. Mr Pyne was responding to speculation Mr Turnbull could face a leadership challenge after Mr Dutton said in a regular interview with 2GB radio yesterday that he would have to leave Cabinet if he disagreed with the NEG. He told the Nine Network there was a "lot of hyperventilating going on" over reports up to 10 rebel Coalition MPs were threatening to cross the floor over their concerns about the Prime Minister's signature energy policy. "Only four people said that they reserved their right not to vote for the NEG. Only four others had criticisms of the NEG and about 26 supported it. There's a lot of hyperventilating going on," Mr Pyne said. "We're listening to the party room. That's why the Prime Minister and the Cabinet will propose a big stick approach to electricity prices next week. "We want to bring prices down too. That's what we did with the gas companies and that's what we'll do with the electricity companies." The Australian reports today Mr Turnbull will announce he will crack down on transfer pricing by the big three energy companies, AGL, Origin and Energy Australia, effectively forcing them to offer consumers lower electricity prices by preventing them from selling power at inflated prices between their generation and retail businesses. It comes after reports the PM is already considering two 'NEG-plus' additions, which would see price caps on "default" energy deals and government support for new power generation. 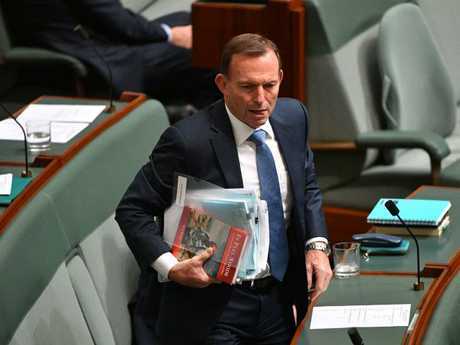 Meanwhile, conservatives are also outraged Labor has been shown a copy of the NEG legislation, while Coalition MPs were asked this week to sign off on the policy without seeing it. One Liberal MP told The Australian it was a "disgusting" move by Turnbull's leadership team. 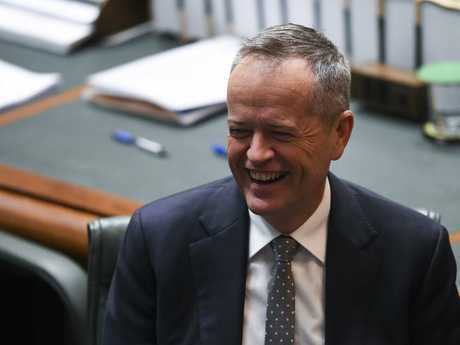 Opposition leader Bill Shorten also weighed in, accusing Mr Turnbull of "extraordinary" arrogance for not allowing his own MPs to see the legislation first. "If he refuses to show his own colleagues all the details, what is he hiding? If they can't even look at the legislation, why should they vote for it?" Mr Shorten told The Australian last night. Mr Pyne confirmed this morning he had not seen the legislation but said it was not significant. "I don't read every piece of legislation, that's absurd. That's why we have Cabinet ministers," he told Stefanovic. Appearing alongside Mr Pyne, Labor frontbencher Anthony Albanese said Mr Dutton had revealed his intentions on radio yesterday but accused him of merely being a "glove puppet for Tony Abbott". "Peter Dutton went on radio yesterday and outlined the path he is considering, resigning from Cabinet to go to the backbench to challenge Malcolm Turnbull," Mr Albanese said. "That now has been laid bare for all to see. This is a government in absolute chaos. We know that Peter Dutton is just a glove puppet for Tony Abbott, back there on the backbench causing all of this chaos." His remarks come as Mr Abbott today wrote an opinion piece for News Corp Australia which outlined his alternative plan for energy policy in seven points. Mr Dutton said on 2GB yesterday: "I'm not going to be part of the cabinet and then bag the Prime Minister out." "I have the utmost respect for my colleagues and if I have something to say, I will say something in private and that is my responsibility as a cabinet minister. "If my position changes - that is, it gets to a point where I can't accept what the government is proposing, or I don't agree - then the Westminster system is very clear: you resign your commission, you don't serve in that cabinet and you make that very clear in a respectful way."